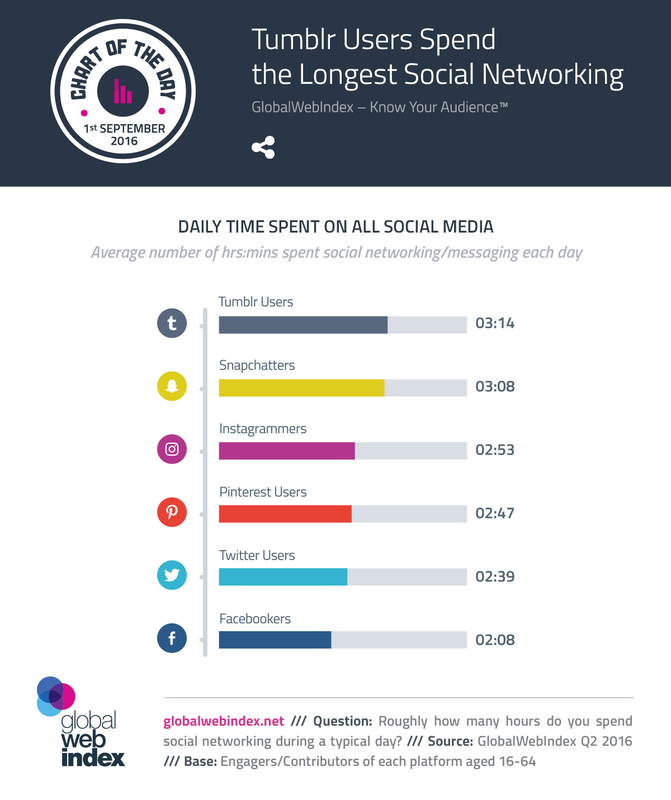 To mark the release of our new GWI Social report (download a free summary here), today’s Chart of the Day takes a look at which social networkers are spending the longest on social media each day. Tumblr engagers/contributors stand out strongly here, devoting an average of 3 ¼ hours to social networking and messaging each day. Snapchatters then follow relatively closely behind, spending 15 minutes longer on social media than their Instagram counterparts, and a whole hour longer than Facebookers, on average. The age profile of each network’s user-base is clearly having an impact here. It’s long been known that Tumblr and Snapchat can boast young audiences (over 4 in 10 Snapchatters are aged 16-24), while Facebook has a much broader age profile. 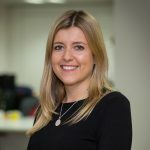 Generally, younger users tend to be the most enthusiastic users of messaging services and are more likely to be networking via mobiles – factors which equate to a greater amount of time being devoted to social media.